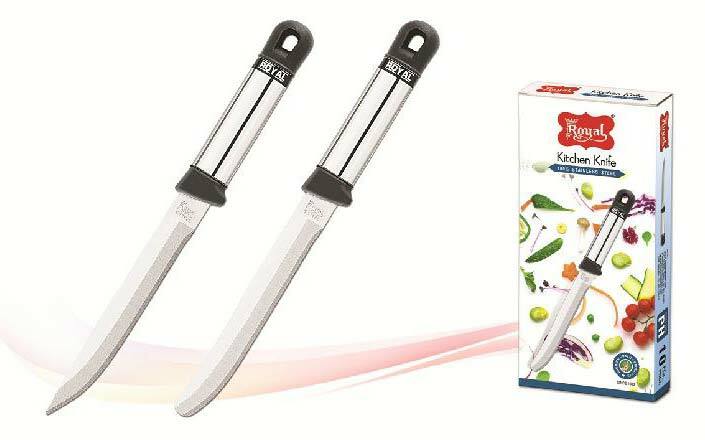 We are a major Manufacturer, Supplier, and Exporter of Small SS Pipe Handle Knife in Gujarat, India. Our adroit professionals manufacture it with a high level of precision. These knives are sourced from the finest raw materials and ultra-modern techniques. We offer them to the leading hotels, restaurants, and cutlery dealers, all over the globe. Our offered Knives have a fine grip and long lasting life. The entire range of our Small SS Pipe Handle Knife undergoes a series of quality checks before the final delivery.